In the FIS Cross-Country World Cup sprint competitions, Sweden's Stina Nilsson and Norway's Johannes Hösflot Kläbo confirmed the roles of the seasons best sprinters in classic technique. 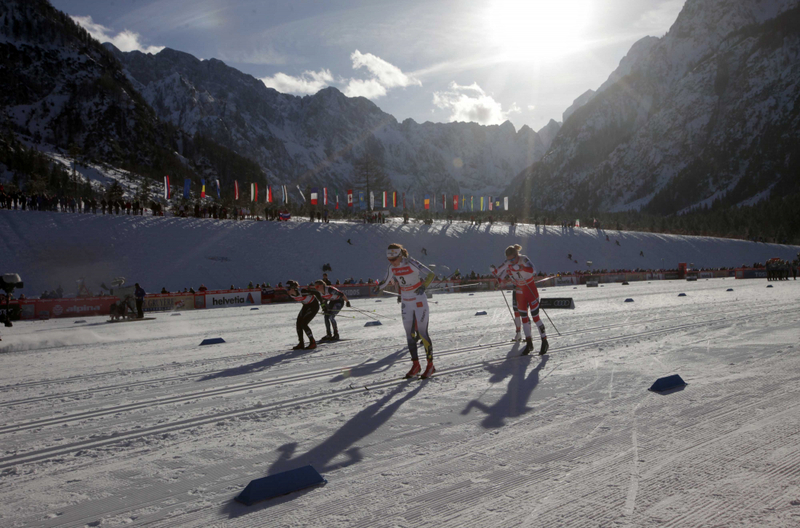 In a wonderful sunny weather and well-prepared running courses in Planica, cross-country skiers competed in classic sprint. The best two sprinters of this season did not allow any surprises and won easily. In the ladies big final Sweden's Stina Nilsson broke the resistance of the Norwegian, the fastest one in qualifications, Kathrine Rolsted Harsem, the third was her team-mate Maiken Caspersen Falla. In the men’s competition, finals were decided already after half of the 1,6 km long course when young Norwegian Johannes Hösflot Kläbo and his teammate Emil Iversen were way ahead of other competitors. In finish sprint Kläbo proved that he has no competition this year. Third place went to Theodore Peterson of Sweden. Great success was also achieved by Slovenian athletes. Anamarija Lampič finished fifth in qualifying and ended her performance in quarterfinal, reaching 13th place. Right behind her was Katja Višnar, while points were also won by Alenka Čebašek in 25th and Nika Razinger in 29th place. Janez Lampič finished in 29th place and was the best male athlete from home team. I was feeling good the whole day. I knew in the prologue it would be a good day. In the final curve I took my chances. It was a perfect day for me. It’s amazing to be finaly on the World Cup podium. I have been 4th a couple of times and 7th for 100 times. It is very emotional for me. There have been many ups and downs in my career. I feel just amazing. I had a lot of fun out there today. It was great to see so many people along the course and the stadium. I really liked the course with the long uphill sections. I feel I’m in a great shape. The course was quite hard today. I am very happy for the second place. It was a great day for me. It is amazing to be back on the podium. It has been over a year since my last individual World Cup podium. It was a tough race and the course was one of the toughest I have competed on.